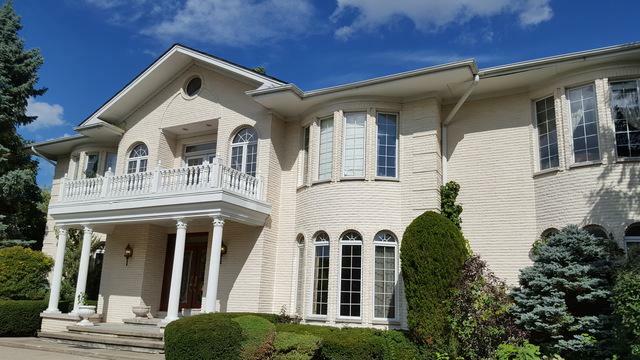 Luxurious, custom-built, brick home located on a private drive, set back on 1.3 acres. Exquisitely designed with superior finishes. 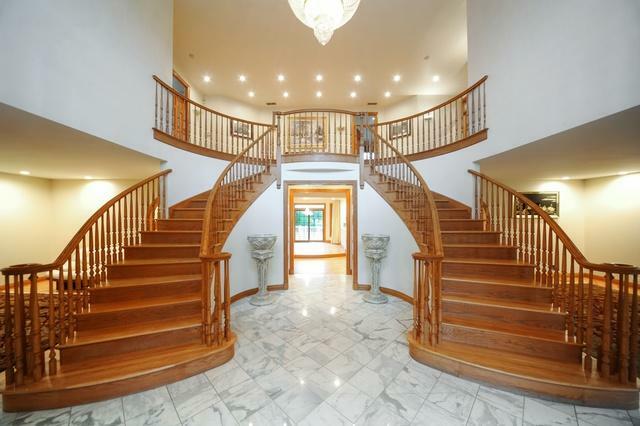 Grand entry with bridal staircase, soaring ceilings & high-end decor throughout. NEW gourmet chef's kitchen features large island, ss appliances, custom cabinetry & quartz tops. Stunning views of the tranquil backyard are enjoyed from the large Eat In Breakfast & Family Rooms. First floor en suite bedroom for nanny or in-laws. 3 fireplaces. Beautiful hardwood floors thru out the home. Formal Living & Dining Rooms. 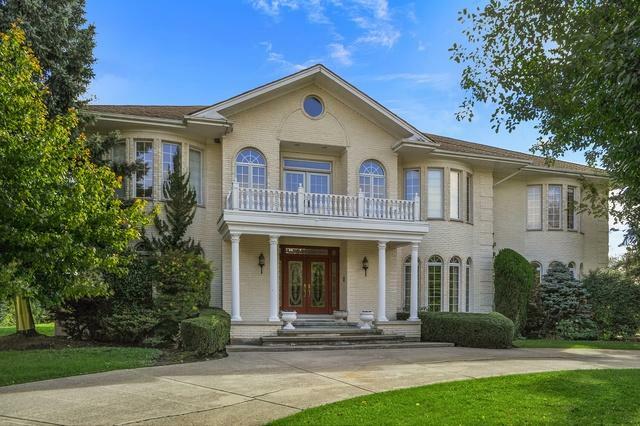 Second floor includes: 2 luxurious master suites, one remodeled in 2017 , both enjoy views of the landscaped yard. Master bath with 2 person whirlpool tub, his/her vanities & steam shower. 2 additional bedrooms both en suite include two closets. Large loft flows into 2 story Foyer. Lower level is fully finished with huge rec area, full kitchen, fireplace & tons of storage. Oversized, fenced, freshly stained deck. Quick Close Possible. Exquisite!